December 20th in Plugin Lists, Viral, Wordpress Plugins by Wordpress Jedi . 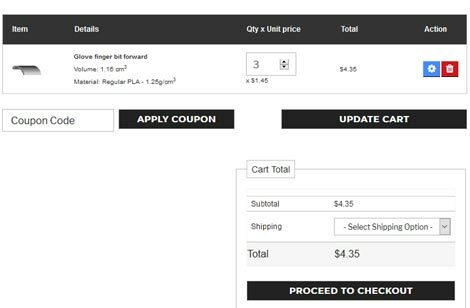 Phanes 3DP Calculator: lets you start your own prototyping shop. It integrates with Astroprint and supports PayPal, Stripe, Square, and Amazon Payments. 3DPrint Lite: another model printing plugin for WordPress. It supports STL, OBJ and Zip files. Filaments and coatings can be customized. It has a responsive, drag & drop design. Have you found more useful plugins for 3D printing shops? Please share them here.